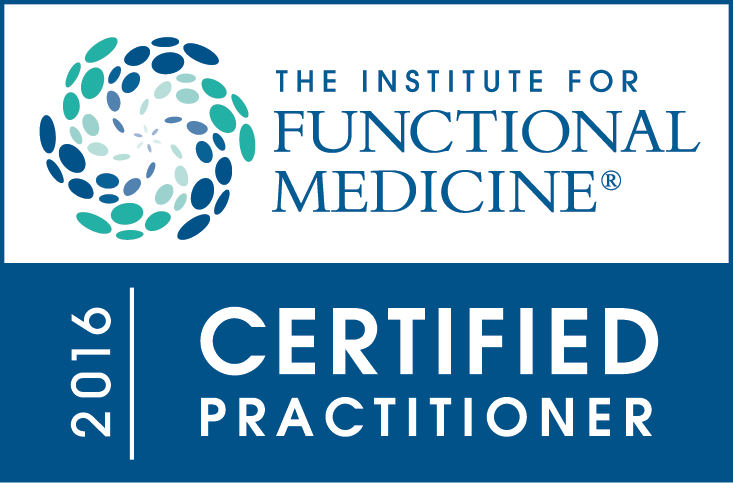 Sarah Piestrup is officially a Certified Functional Medicine Practitioner through The Institute of Functional Medicine (IFM). Sarah started her journey with IFM in October of 2010 with their AFMCP course. She studied with IFM throughout her training as an Family Nurse Practitioner (FNP), applying all she learned in practice while integrating it into her classes, papers and projects so she fully grasped the science, detail and functional medicine process of treating each patient individually from the root cause. Treating from the root was something she was taught as a foundation of her training as a traditional Oriental Medicine practitioner which is what drew her into the program at IFM in the first place. Now she integrates her practice with the ancient wisdom of tradition with modern science using observation lab reports and patient histories to help her patients find their optimal state of wellness using the Functional Medicine model as a web for the foundations she has as an Family Nurse Practitioner, Acupuncturist and Herbalist.